The Ultimate Sleep Hack Sleep better, rejuvenate, beat jet lag, boost energy. Premium blue light blocking glasses. Daytime High Definition Sunglass Lens provide crisp and clear vision unlike any other. 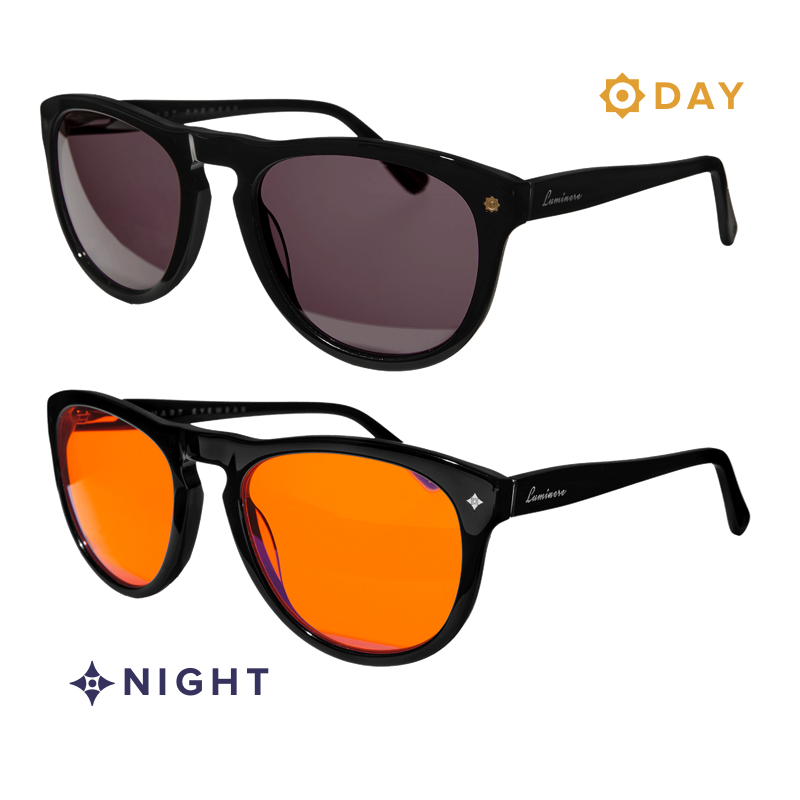 Our patented CR-39 orange lenses block more blue light than any other computer reading glasses. Our lenses are laboratory tested, anti-glare and anti-reflective and help support people with insomnia and macular degeneration. People will not be quiet when you wear these glasses. You will be thee envy of your friends (and enemies). Designed and developed by The Sleep Doctor® himself, Dr. Michael Breus, these glasses are the finest blue light blocking glasses anywhere. Inspired by the greats like McQueen, Marlon Brando, Frank Sinatra and countless others, our vintage styles can withstand the test of time. Get the best night's sleep of your life with the only glasses now endorsed by the Sleep Doctor ® . Go ahead and scratch them, smash them, run them over. Do whatever you like to them. Send them back and we will replace them for FREE for the life of your purchase. Pay only s & h.
Our blue blocking glasses are designed in USA, Italy and Spain and our timeless designs will keep you from not missing your style. ACETATE FRAMES & STEEL SPRING LOADED HINGES. Our blue blocking frames and lens are strong, lightweight and flexible. We guarantee the perfect fit and lifetime SMASH FREE WARRANTY. Many people use television to help them fall asleep at night, and thats not a big deal, but the blue light exposure from TV can effect your body’s natural ability to produce Melatonin. These Blue-Light Blocking Glasses remedy that situation. Remember, even a little light exposure late at night for people who like to check their email or Facebook, can cause eye strain. Wear these Blue Blockers while checking your smartphone, and then get back to sleep. As a parent, I am concerned about my kids gaming, but now with these blue blockers, I don’t have to worry about eye strain, or the blue light exposure making them stay up later. In fact, when my kids wear them they are actually easier to wake up! We warranty these FOREVER. Break them, scratch them, smash them. No questions asked. 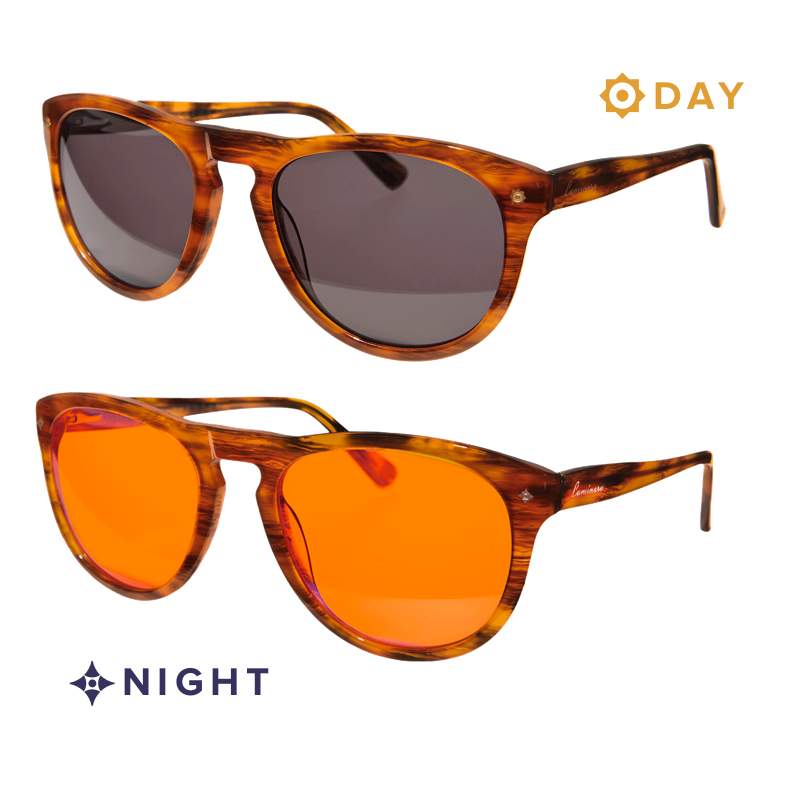 Each pair is either high quality acetate or high quality plastic frames — both of which are BPA-FREE — and use our patented CR-39 lenses to block more blue light than any other computer reading glasses. All of our blue blocker glasses come with stainless steel and spring loaded hinges and are fitted for maximum comfort. Smooth and whisper-soft closing actions, paired with an equally graceful appearance, make these the choice for everyone looking to make their mark while protecting from harmful blue light indoors and outdoors.